What if you could upgrade a body contouring procedure to achieve more comprehensive results? CoolSculpting® is a non-surgical fat reduction treatment that’s often utilized alone, but there’s another option available. At our state-of-the-art practice, you can try a customized combination of CoolSculpting® and ZWave PRO. Together they can boost the overall effect of your treatment and enhance your outcome. Our extensively trained dermatologist, Dr. Deborah H. Atkin, can perform these two technologies consecutively to reduce fatty tissue, smooth away cellulite, and help you obtain a more aesthetically appealing shape. 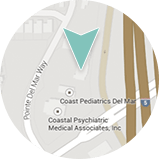 We believe in the big picture, and we’ll take into consideration the targeted treatment area as well as your figure as a whole. Our practice has the technology to optimize your results, because we think customization beats one-size-fits-all any day.